That is a good plan B but this should also be able to work properly? A magnetic switch I can put in the lid of my mailbox, a touchswitch not I am afraid. After some googling, I found out that a 10K resistance between GPIO14 and 3.3V could help. I have tried this and indeed it works perfectly now. Code is also correct. I can switch my lamp both with my wall switch and via domiticz and the status is perefect kept in domoticz. when I try to flash it with a prebuild 8285 version. When I use the domoticzswitch I hear switch the sonoffrelay but not one time but a couple of times. I tried your script Vader and use one device SW01 in the GUI ESP but this doesnt work. The domoticz switch doesnt work at all and the wallswitch works sometimes. 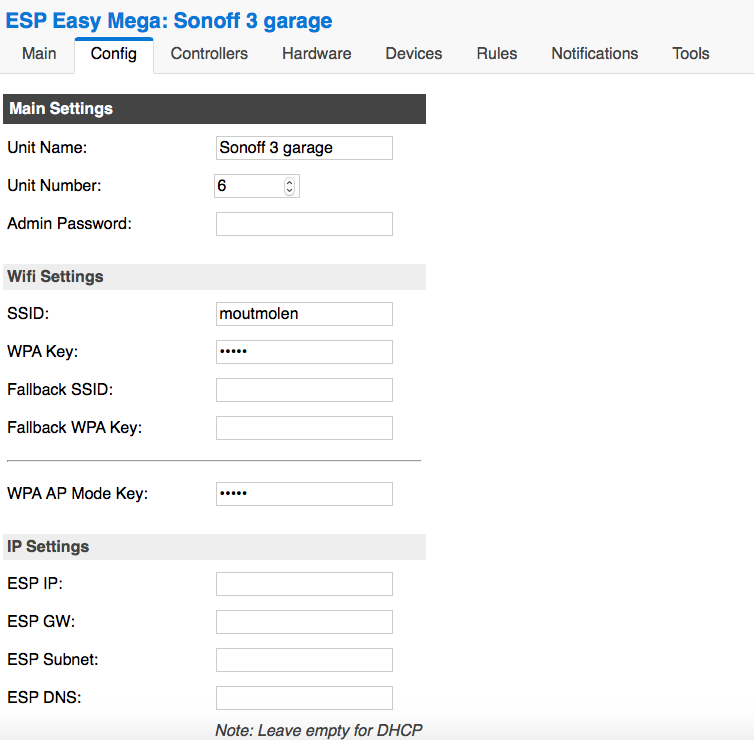 I want to controll my sonoff with esp easy 2.2 also control with my wall switch witch gpio14. 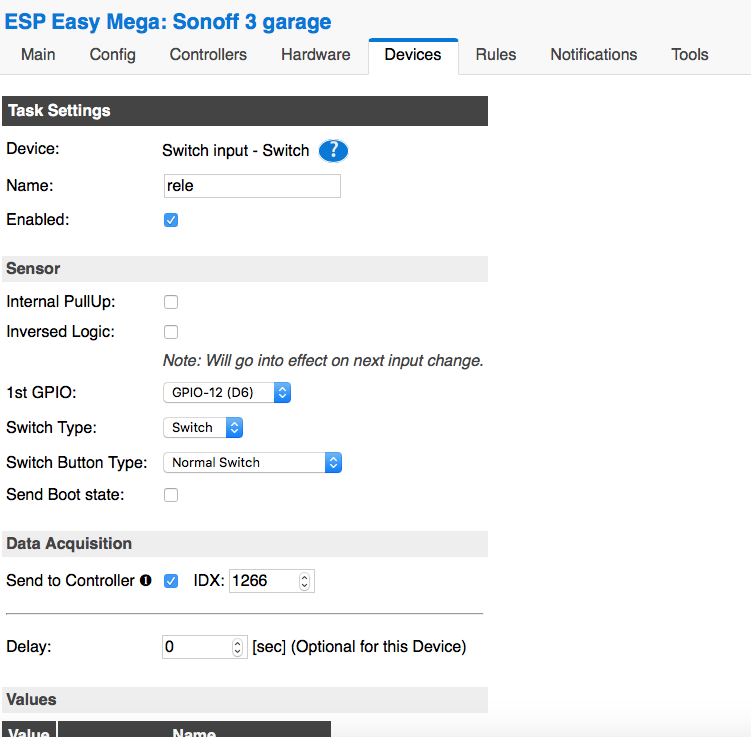 So i connect it with gpio14 and ground and submit a switch on port gpio14 in the espeasy GUI. Nothing happened when i flip the hardwareswitch. What am I doing wrong? Topic: Wemos D1 mini sleeps without sleepmode? Re: Wemos D1 mini sleeps without sleepmode? Solved. After a hardreset of the wemos it works! If you mean how long the wemos online was: 0 days 5 hours 13 minutes. Wemos D1 mini sleeps without sleepmode?